Getting a new puppy is an exciting time. Knowing how to choose the right puppy from a breeder is a great way to start a long-lasting friendship that will bring both you and your pet years of happiness together. mischievous side, the pug may be the perfect pet for you. These dogs get along famously well as part of a loving family and will likely join in the antics with any children in the house. These toy dogs love being around their people and making them smile, whether it's through silly behavior or tender kisses. Because of their size, they are perfect dogs for apartments or smaller homes that don't have a lot of space. Choosing a reputable breeder can make all of the difference between getting a pug that will be part of your family for years or a puppy with a predisposition to particular illnesses and other health issues. Doing your research on the breeder, therefore, is just as important as doing research on the breed of dog you want. 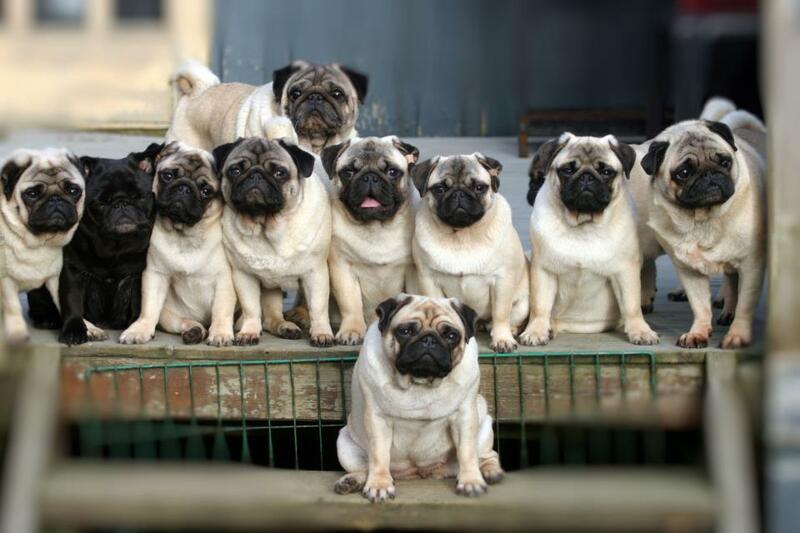 A good way to start looking for a reliable pug breeder is to contact the Pug Club of America, Inc. through their website. Other breeds have similar national clubs, and the American Kennel Club, or AKC, recommends contacting these clubs for breeder referrals. Breeders with stellar reputations may have waiting lists, but don't let that discourage you from finding a healthy puppy. Check the puppy's nose to make sure the nostrils don't close while breathing in. Make sure the puppy's bottom teeth stick out farther than the top teeth in a pronounced undershot. Check that the little pup's gums are a healthy pink. Gently feel the top of the baby pug's head to make sure there is no soft spot. Look at the puppy's eyes to make sure they are bright and clear. Pugs often have problems with ingrown eyelashes. Check inside the pug's ears to make sure there are no crusty spots or ear mites. Clean ears are necessary for good health. Pugs can have problems breathing, so pay close attention to how well the puppy breathes in and out. Because pugs are prone to hip dysplasia, watch the puppy walking to look for any early signs. Ask about any history of this condition in the pup's bloodline. Reputable breeders often have a health guarantee on puppies they sell. Take your new family member to a veterinarian as soon as possible after you get home to check for any health problems. Bring any immunization records from the breeder to make sure your puppy is up to date on all necessary shots. Most of all, enjoy your new family member and don't forget to make your new pet feel loved and welcome.